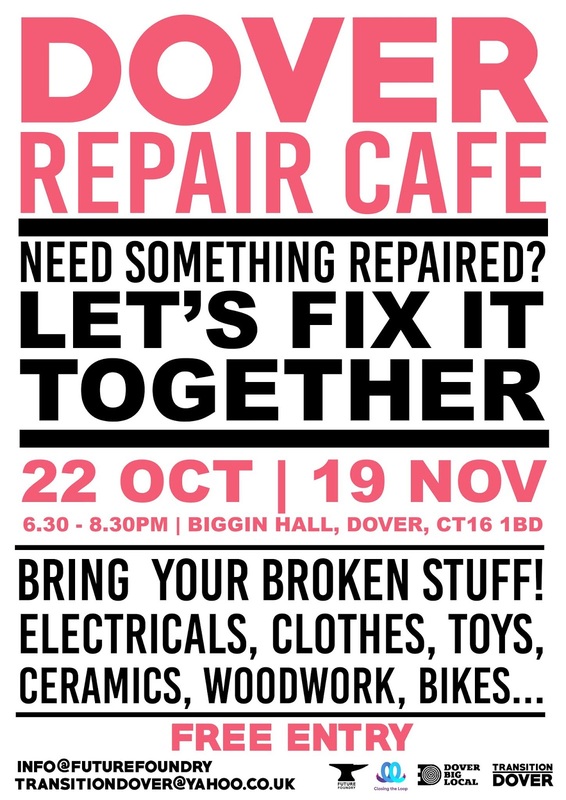 Please share far and wide! 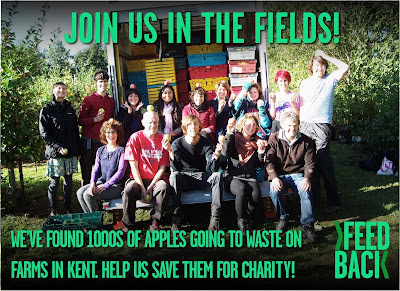 We’ve just discovered a HUGE amount of apples going to waste on 2 farms in Kent. This fruit are perfectly delicious and nutritious, so we're setting out to save as many as possible – and we NEED YOUR HELP. The more volunteers we have, the more food we can save! On Monday 29th of October, 11am-4pm we’re inviting volunteers to a farm near Sandwich to harvest delicious Ida Red and Golden Delicious apples. On Wednesday 7th November we're heading to a farm near Canterbury to glean several varieties of apple. All of these fruits will then be donated to charities such as supply excellent charities such as FareShare and The Felix with much-needed food. 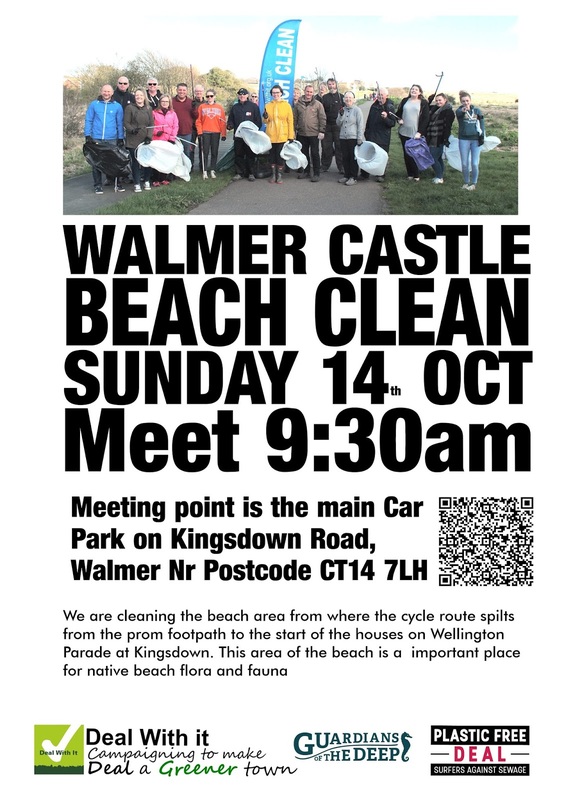 So please join us for one or both of these rewarding and sociable days in the orchard. We’re especially welcoming 18-24 year olds to get out in the fields gleaning, though people of all ages are warming invited. We cover travel expenses up to £12 per volunteer from Maidstone, Canterbury, Dover, and anywhere in between! 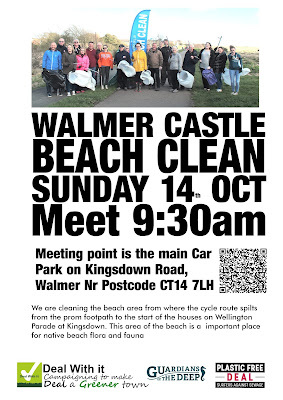 You will then be sent more info about the gleaning day, closer to the time. If you'd like to know more about gleaning please contact kent@feedbackglobal.org (for Kent gleaning) or James@feedbackglobal.org (for UK wide gleaning). * From Farm to Fork is an exciting collaboration between Feedback and FoodCycle, which will train more than 4,000 young people (18-24) to reclaim unharvested fruits and vegetables through gleaning, and to turn surplus food into delicious, nutritious three-course meals to be shared with vulnerable people. It is part of the Our Bright Future programme. The Gleaning Network is a Feedback campaign. 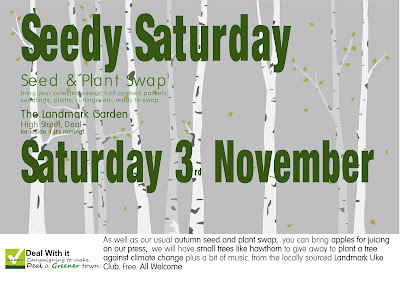 Our next Seedy Saturday at the Landmark Garden on Sat 3rd Nov will have a Autumnal feel to it. 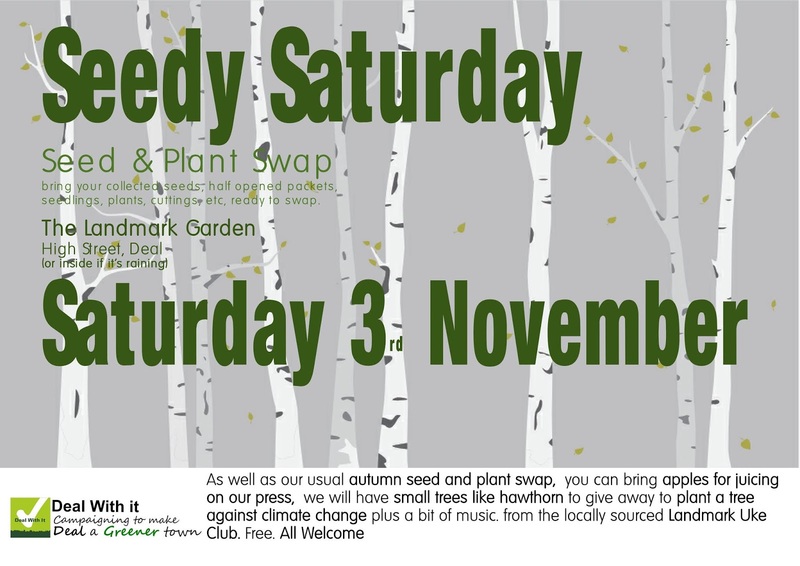 As well as our usual plant and seed swap we with have our apple in working order (so please bring down some windfall apples and a container if you want to have a go) and Sue is arranging for some small trees (like hawthorne) to give away … fantastic idea as a response to the recent IPCC report on Climate Change. 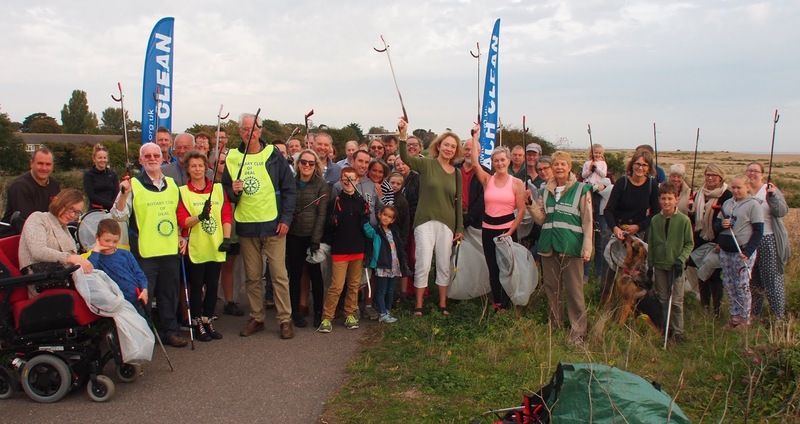 Thank you to our 60+ volunteers on today's Walmer Castle Beach Clean. 20 bags/89kilos collected with over a 1/3 recycleables inc 38 single use plastic bottles!